This week on CBN News Money Wise we dig through the hype in search of the facts about what the Medicaid reform in the GOP health care bill actually means for those who rely on the program. Congressman Robert Pittenger explains what Medicaid is, why reform is coming, and who will be covered under the new plan. It's great to have a refrigerator full of wedding invitations--but wedding season can be tough on a budget. In this week's episode of CBN News Money Wise we talk to a wedding expert from The Knot about how to avoid breaking the bank as you head from one wedding weekend into another. Time off following the birth of a child is no longer a benefit sought after solely by mothers-to-be. This week on CBN News Money Wise we talk about paternity leave. Modern dads want the option to take that time off as well-- but is it a policy their companies will go for? Mother's Day deals that seem too good to be true---probably are! Watch out for these scams. Modern day dating often includes a conversation about debt at some point. Online personal finance company, SoFi, recently surveyed 2,000 Millennials to find out how they feel about debt in the context of their love lives. Have you ever dreamt of what you would do if there were no limit in your bank account? Or maybe you dream about a career that could get you to that point. This episode of CBN News Money Wise is the first of several that we'll be throwing into the mix of finding financial freedom in unconventional ways. When you're just starting out in the professional world, putting money from your paychecks towards retirement savings or investing it in other ways, is likely the last thing on your mind. This week on Money Wise, CBN Financial Editor Drew Parkhill joins us to debunk some common misconceptions about investing--giving tips on how to make contributions of $5, $10 or $15 each month from your paycheck go a long ways towards your future financial security. The Internet gives us the ability to stay more connected to each other than ever before--but if we're not careful this new kind of connectedness can also be impersonal and distant. We speak with a woman who shrunk the digital distance between her community by asking them to invest in her family during their time of need. It consistently ranks at the top of the Federal Trade Commission's list of compaints every year--and right about now is when you could be finding out that you're a victim. This week on CBN News Money Wise we talk about what's been called The Crime of the 21st Century--Tax ID Fraud. Forget health insurance, retirement funds and flexible vacation schedules--in 2017 a new employee benefit is being added to the list. This week on CBN Money Wise we explore the benefit most attractive to America's newest generation of worker. Healthcare premiums and deductibles are higher than ever before. The incoming administration will likely repeal Obamacare but it won't happen over night. So what alternatives do Americans have? This week on CBN News Money Wise we explore Health Sharing Ministries--marketed as an affordable, faith-based solution for Christians, to the problems of rising healthcare costs. Invisible wounds from war, like post-traumatic stress disorder and traumatic brain injury, haunt veterans for years. For those who do seek help, care from the military comes at no out-of-pocket cost. However, Veteran Andrew Marr says he came away from that with a handful of medications to treat his symptoms but nothing for the underlying issue. In his quest for healing he spent thousands of dollars, filed for bankruptcy and learned some important information about the injury that haunted him. He's now made it his mission to raise awareness, support, and funds for other Veterans battling the invisible wounds of war. Watching the stock market before and after this years presidential election was a little confusing. The markets seemed to favor Hillary Clinton, spiking when she did well in the polls and plummetting when Donald Trump was declared President-elect. However, in the days after the election, the markets soared! Why did the markets get on board with Trump so quickly? Why didn't they favor him from the start? How can we read the changes we see happening in the markets? 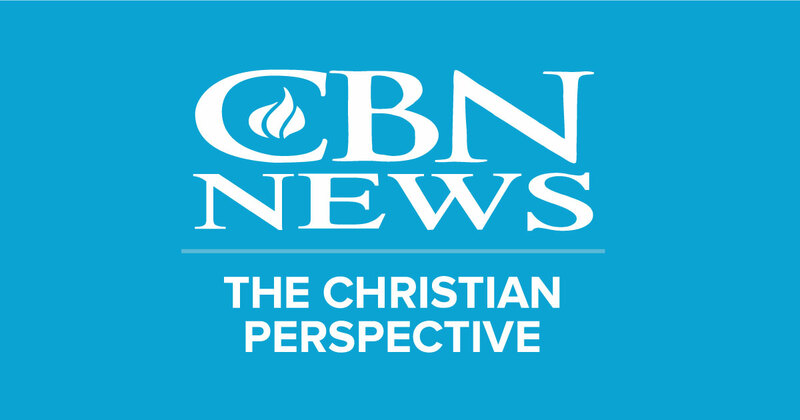 CBN News Financial Editor Drew Parkhill answers those questions and more in this weeks episode of CBN News Money Wise. Has getting out of debt become the new American dream? In this episode of CBN News Money Wise we talk to a university professor and rapper Dee-1 about the cost of paying for a college education, why those costs continue to rise and how to pay for higher education without becoming buried in debt. Did you know that debt is optional? In this episode of CBN News Money Wise we dive back into our conversation on the cost of higher education--but this time with less doom and gloom. We're having a hope-filled conversation with Rapper Dee-1 and Jesse Mecham, the host of the YNAB (You Need a Budget) Podcast. Dee-1 and Mecham share ways that students can get that education they need, while avoiding Sallie Mae! I felt guilty if I didn’t always tithe, and would beat myself up for not having enough faith. After a while I thought, wait a second. There’s something wrong with all this guilt I’m experiencing, and with all this manipulation over money. We continue our conversation about where your money belongs. In "The Money Shuffle Pt. 2" the MoneyWise team talks about what happens if you don't give, how to determine if you should give before or after taxes and if it is okay to choose new, tech saavy ways to give over the traditional offering plate. Where does your money belong? As Christians we’ve been taught that the first 10% belongs in the offering basket. But where did that number come from and is tithing the same as charitable giving? In this episode the Money Wise team spoke with a comedian, a pastor and a money expert to answer those questions.